Written by Andrea Moffat, mother of a Type 1 child. In 2009, our three-year-old son was diagnosed with Type 1 Diabetes. His diagnosis was a huge shock and for many months we found ourselves just trying to tread water as we learned what it means to try to manage this disease. We didn’t know anything about Type 1 Diabetes and we were completely unprepared for the emotional and physical strain it put on our son and family. Everything changes after your child is diagnosed. We were afraid to send him to school, to leave him with a babysitter, we were even afraid to sleep at night. From the beginning, JDRF was there for us. In the hospital, we received the JDRF Bag of Hope which included a stuffed animal named Rufus. Rufus gave our son someone with whom to share his diabetes experience; we gave him shots and pricked Rufus’s paw just like we did our son’s. When we got home, JDRF connected us with another Type 1 family to serve as our mentor; sharing our fears with other parents after diagnosis is such a blessing because they help you see that there is hope, that you can create a new ’normal’ and live with this disease. JDRF even helped us find the training materials we needed to get Glen’s teachers and caregivers ready to take on his care when we couldn’t be there to do it ourselves. Fast forward several years and now we have the privilege of mentoring newly – diagnosed families, we attend JDRF sponsored events that allow Glen to meet other kids living with Type 1 Diabetes, and we take advantage of many of the new treatment options that have become a reality in large part because of JDRF’s funding of the critical research needed to improve diabetes care. This past year, thanks to a clinical trial sponsored by JDRF, we found out that our five-year-old son Blake has all five antibodies for Type 1 Diabetes. Again, our world was turned upside down as we tried to come to terms with the reality that someday, probably sooner than later, we will have two children with this disease. Right on the heels of hearing those words, our local JDRF office was there to offer their support to help us identify any prevention clinical trials currently underway in which Blake could possibly participate, and to reassure us that there is hope, that the research funded by JDRF is working on cutting edge new treatments that will change the way we manage diabetes in the future. When your child has a life-threatening disease, it is easy to live in fear for them. It’s hard not to think about what could happen if their blood sugar dips too low at night or when they are driving a car, if the complications caused by many years of higher than normal blood sugars will plague their future, if they will be able to concentrate during their tests at school, if they will have a seizure on the playground from a low blood sugar, and the list goes on and on. These are the fears that haunt parents of Type 1’s every day. The silver lining for our family has been JDRF’s ability to provide us with resources we need when we need them and to give us hope for a better tomorrow for our boys – you just can’t put a value on that. When we heard that the Tobacco Road Marathon supports JDRF, we knew we had to get involved. Running 13 miles is nothing compared to what our son and the other thousands of people living with this disease have to face every day. Running this race shows our boys how hard we are willing to work [or run] to find a cure and protect their future. We are humbled and thankful to live in a community like this where great organizations like JDRF flourish and community events like the Tobacco Road Marathon support our mission. 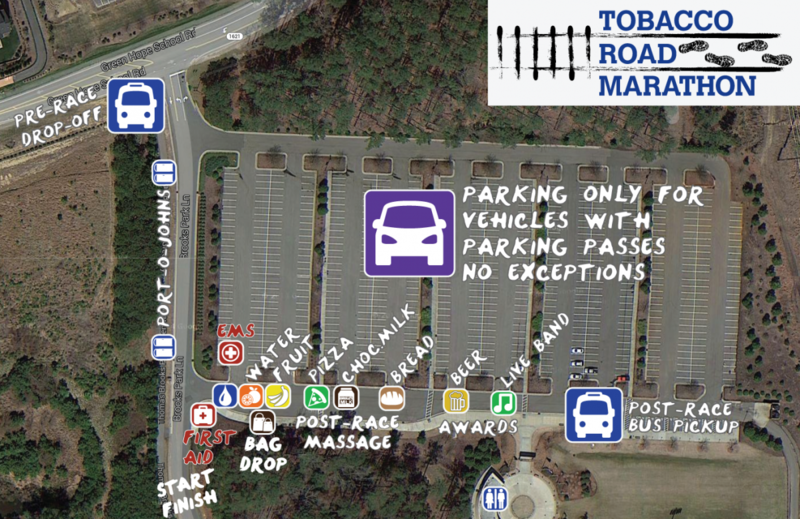 © 2019 Tobacco Road Marathon. All rights reserved. Early Bird Pricing ends March 31, 2019!